This tutorial shows you how to use the diagnostic and support tools for Solid Converter. 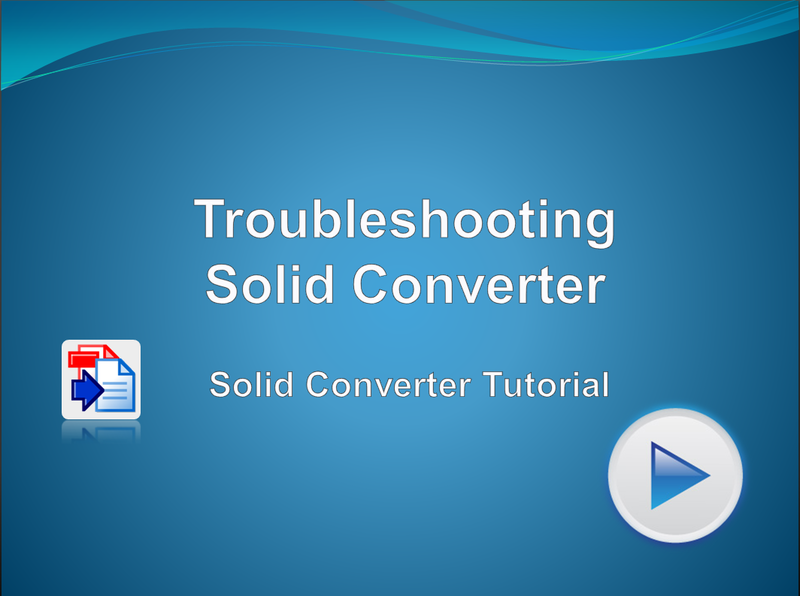 Solid Converter offers simple tools to help us help you. Watch this video to learn how to provide us with the information we need if you are having a problem with Solid Converter.